Victoria inks Cage Newans, Parker Malchuk and Connor Martin. Victoria, BC – The Victoria Royals are proud to announce that the club has signed defenceman Parker Malchuk (2001), goaltender Connor Martin (2002) and forward Cage Newans (2003) to Western Hockey League Standard Player Agreements! The Qualicum Beach, BC product was drafted by the Royals in the seventh round, 147th overall, at the 2018 WHL Bantam Draft. The 5-11, 165 lb forward played for the Delta Bantam Prep team of the Canadian Sport School Hockey League in 2017-18. Newans scored 35 points (14g-21a) and added 52 penalty minutes in 30 contests. He finished first in team scoring during the regular season and led his club in assists. In one game with the Delta Academy Elite 15’s, Newans recorded an assist. 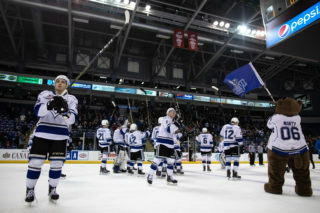 The 5-9, 160 lb defenceman was listed to the Royals’ 50-man protected player list last year. 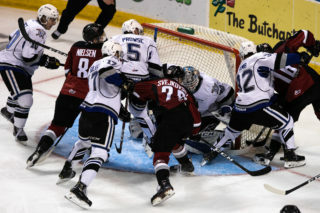 Each WHL team is allowed to protect 50 players, which includes individuals who have either been signed, drafted or listed by their respective club. Last season, the product of Birtle, MB played for the Yellowhead Chiefs Midget AAA team of the Manitoba Midget AAA Hockey League (MMHL). In 41 games with the Chiefs, Malchuk recorded 32 points (13g-19a) and 46 penalty minutes. He also skated in three playoff games with the club and registered three assists. 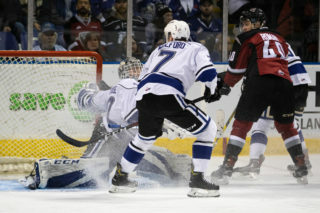 The 2002-born netminder was listed to the Royals’ 50-man protected player list in the summer of 2017 after attending the team’s training camp. The native of Kelowna, BC spent last season with the Calgary Royals Minor Midget AAA Blue team of the Alberta Minor Midget Hockey League (AMMHL). 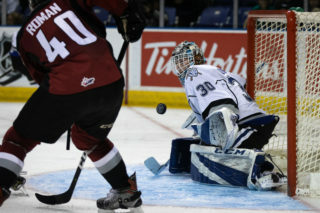 With the Royals, Martin posted a goals against average of 3.59 to go along with a 0.913 save percentage. 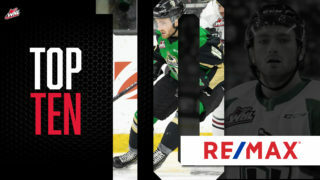 Season Ticket packages are on sale now – reserve your seat for all 34 home games. Benefits include access to our flexible “Never Wasted Ticket” exchange policy, first opportunity on giveaway items, choice of best seats, and much more! 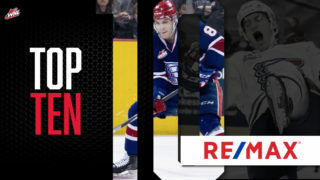 Call our ticket office at 250-220-7889 or send an email to tickets@victoriaroyals.com for more info or to set up an appointment to view availability.